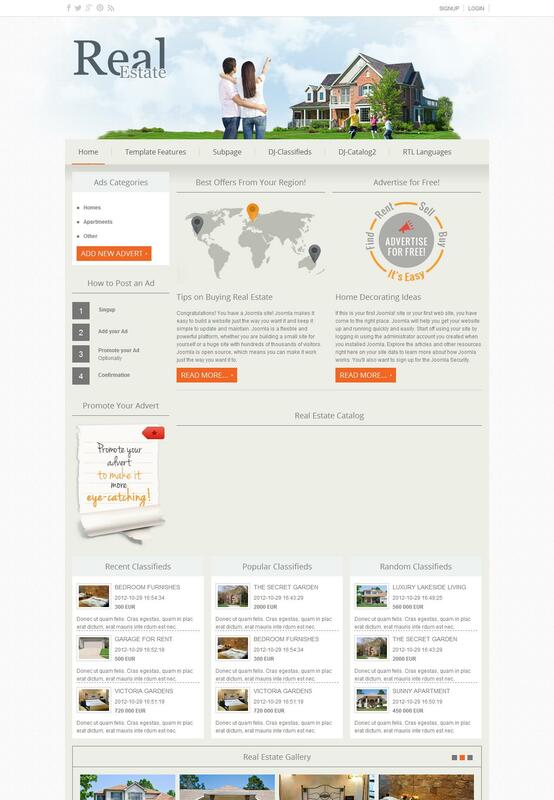 DJ Real Estate02 - excellent and stylish template for creating sites on the property. He created a team of developers Joomla Monster. Contains in its structure an updated version of the component to display ads DJ Classifieds. This component allows an accessible form on the website to publish different ads. To be able to create a visual presentation on the resource, in the form of different proposals can approach known component DJ Catalo2. It also has additional features and deemed to be included in the template. It will look great on mobile platforms. This will happen only because of the adaptive design layout. DJ Real Estate02 offer is ideal for creating a contemporary range of real estate.